The Thermaltake 8400mAh Portable Power Pack is part of the new line of portable external batteries designed for the current modern mobile age. High capacity power and compact designs make these batteries a reliable power companion on the go. 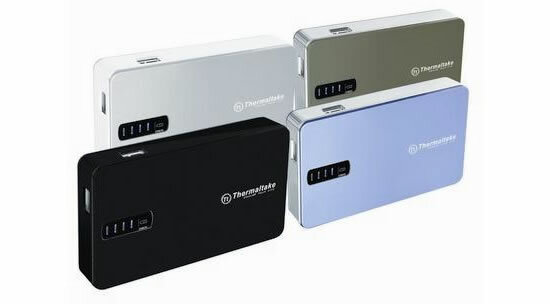 A fully charged Thermaltake 8400mAh Portable Power Pack can recharge an iPhone to 3.5 times. The Power Pack is equipped with a premium quality rechargeable battery cell with 8400mAh power capacity and up to 500 + recharge cycles over its lifetime. In addition, the powerful speedy 2.1A Output is ideal for charging tablets and another device at the same time. 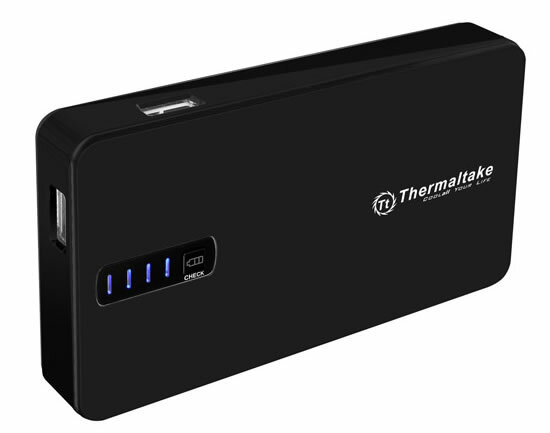 Thermaltake 8400mAh Power Pack is compatible with all USB chargers come with Smartphones or tablets. The 8400mAh comes equipped with special charging ports exclusively designed for Samsung Galaxy and Apple devices respectively but can be used on any device which it charged via USB. Its compact and portable design makes it easier to carry with, similar size to most popular smart phones in the market. The Thermaltake 8400mAh Portable Power Pack is available in four pleasing colors and measures 127 x 72 x 19 mm and weighs 275g only.